Transferring from the Caribbean: what time should you start? Students who begin in August have a chance to apply for a second year. Most schools accept applications from February, interview in June, and accept at the end of June/July. Having ended only a year of graduation, the students likely have little time to explore research and relationships with the faculty. So the faculty members will write little for the recommendations. The schools have only first year grades and MCAT scores and do not have any hope to accept. The students must have a grade of 4.0 and a 30+ MCAT because they are competing against people with these scores. If you are planning to transfer at the end of the second year, the students may find some difficulties. Most of the medical schools will seek USMLE Step 1 score when considering your application. Any January students have already taken their Step 1 and have scored 99 it will be very hard to compete even if you end up with a similar score which means repeating a year of clinical work. If you planned to do this, then they are "so far ahead" of the other applicants. The school will also check the Honors in clerkships. Students who begin in January have more options. These people may have the opportunity to explain their second year materials and involved in research. This gives the added advantage than other applicants. Also the students may have a time to develop good relationships with the faculty in hopes of getting a recommendation letter. Students may wish to transfer from second year to apply for a third year. If the students completed in December have five months off until they begin their clinical rotations. They may use this time to prepare for the exams of USMLE Step 1, and submit their scores by April. Ensure that the students must submit before the application deadlines. In the meantime they can also do any project work to strengthen their application. The only drawback is that they should begin their clinical rotations before the interviews begin. Start your rotations instead of deferring them (if you delay, you may have some challenging concerns to answer in the interview). Are you currently studying in one of the Caribbean medical schools? This means that you are the part of the institution and not recognized by the Liaison Committee on Medical Education (LCME). Most of the medical schools in the US and Canada are LCME accredited. So the students show interest to move for a transfer. Few medical schools consider non LCME students and accept transfers. To find out which schools accept non-LCME students, go through the transfer policies of the medical school. This is important to do if the students are serious about transferring. Before applying ensure that the school accepts transfers and if they have changed the policy recently. Also know the availability of the transfer students. Choose which one you are going to be and then plan accordingly. In addition to this there are some other schools which accept the non-LCME applicants. If you are willing to search for the remaining schools put some effort. Do not forget to call the medical schools in the state where you have resided. Several state schools do not agree non-LCME candidates but accept people that are residence of the state regardless of the school recognition. For any international school, it is also important to check what language the courses are taught in. For example Some schools are taught in Spanish. Most of the Caribbean schools use US textbooks for students and the lecturers are often from the US or Britain. In some circumstances, the universities have also created deceiving claims about the hospitals they were apparently affiliated with the US but the fact is not that. To be sure, contact the hospitals and check whether the school is affiliated with them and if find any inconsistencies, keep away from that university. At Caribbean Medical Schools, the staff is usually devoted to both training and responsibilities to do research, this creates these educational institutions nearly research based. 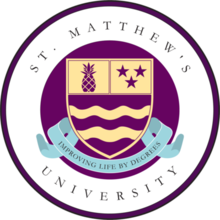 Most graduates of Caribbean medical schools may only be able to practice in half of the United States but some may practice in the whole states of US. So, be careful and examine the factors out.